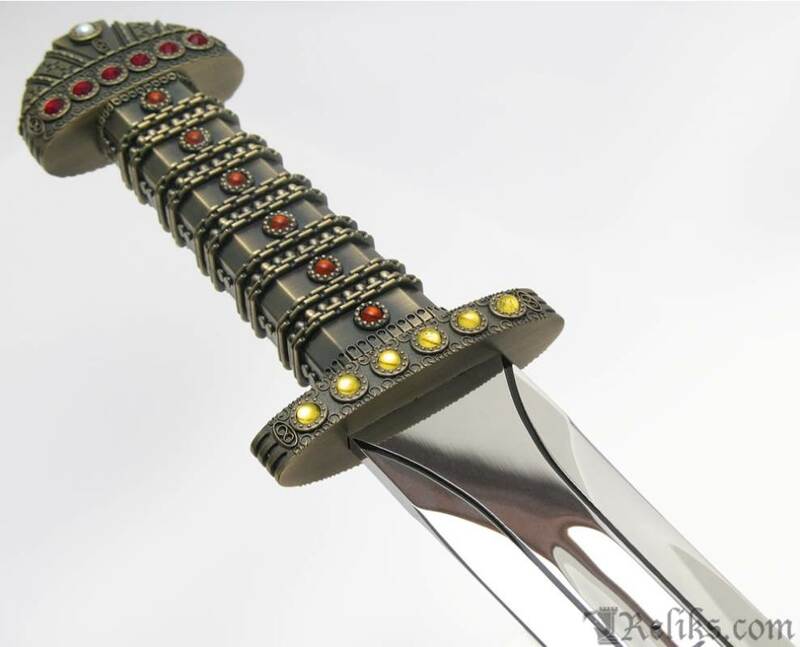 The Sword of Kings is a relic held by the reigning Viking king during the time of Ragnar Lothbrok. 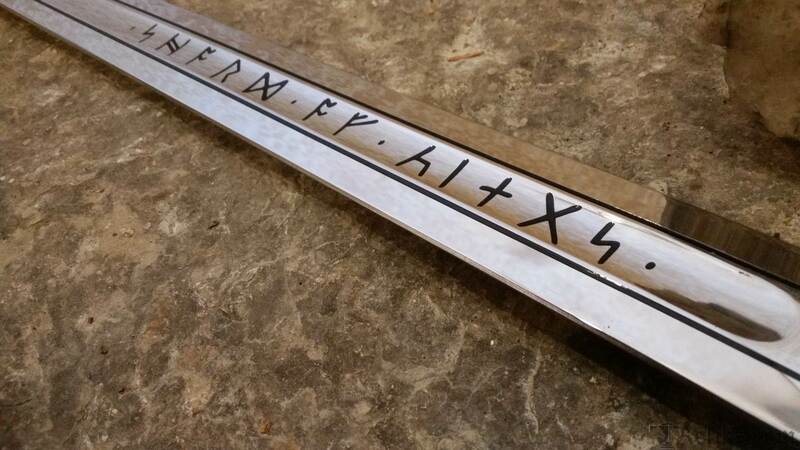 The age and origins of the sword are unknown, but it is a treasured symbol of Viking power. 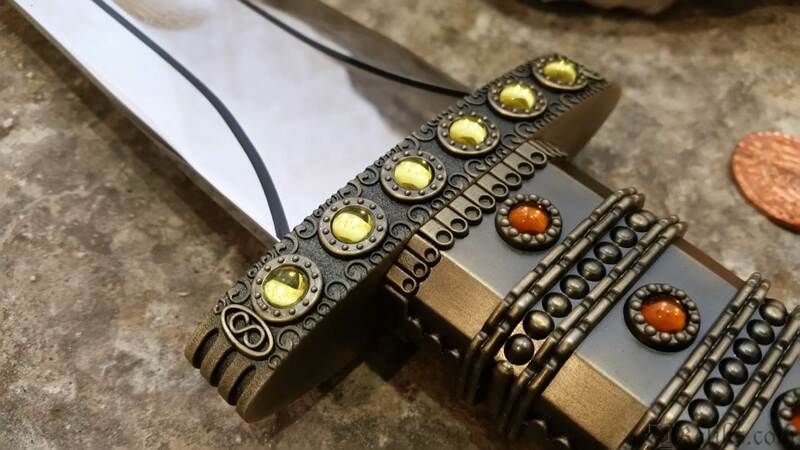 The hilt is adorned with precious jewels and the blade, mirror polished, is etched with Viking runes that translate to Sword of Kings. King Horik plotted to exterminate Earl Ragnar and his entire blood line so that there would be no one to rise against him. Floki played the part of a betrayer, but in the end stood with his friend and Viking earl, Ragnar, to stop and defeat King Horik. 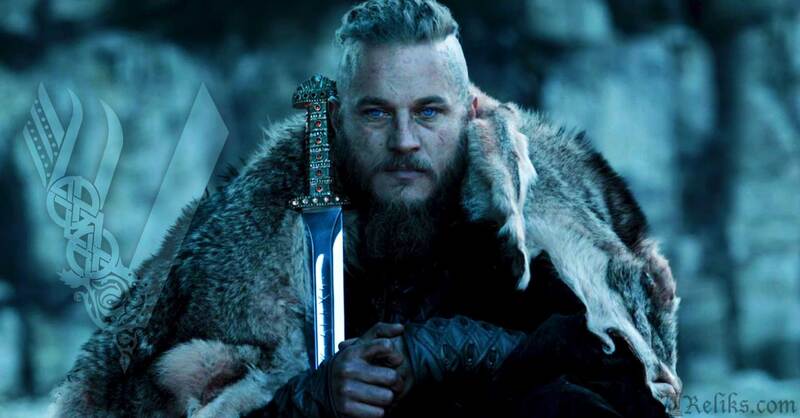 Now Ragnar has become the great Viking leader and champions his people to many epic victories with the treasured Sword of Kings at his side. 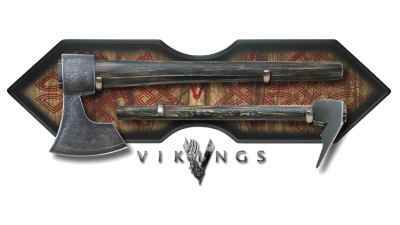 The Limited Edition Sword Of Kings is individually serialized with Certificate of Authenticity, and a Vikings graphic plaque. 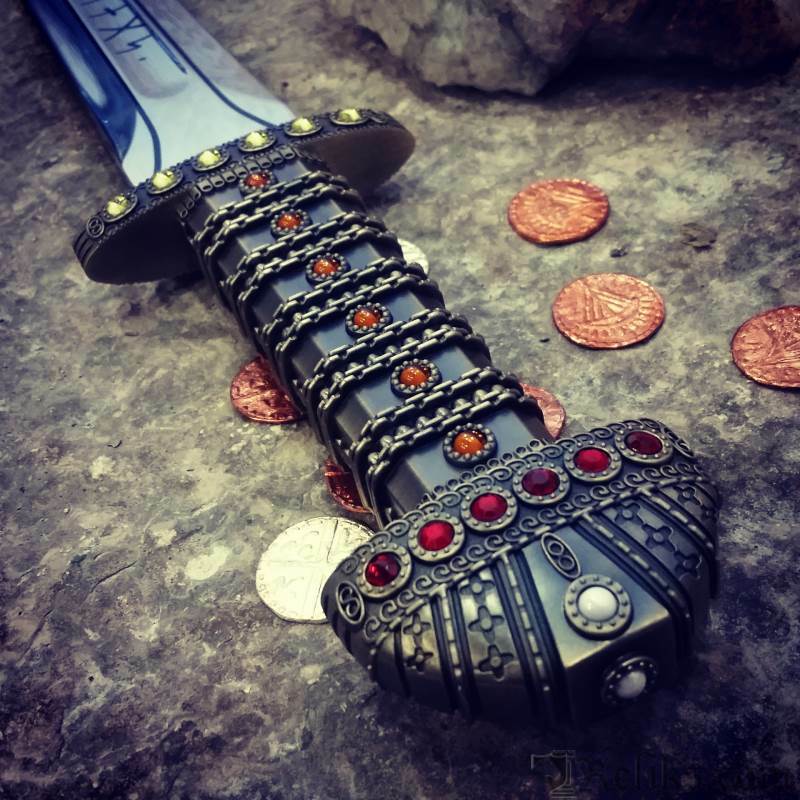 Ragnar Lothbrok Sword Of The King - The Limited Edition Sword of the King aquired by Ragnar Lothbrok in the hit show Vikings. 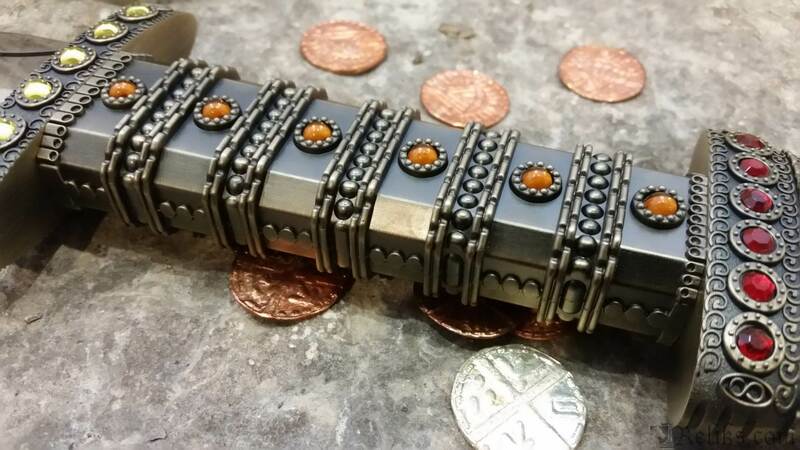 Jeweled Pommel - The pommel is jeweled and loaded with engravings like the television prop. 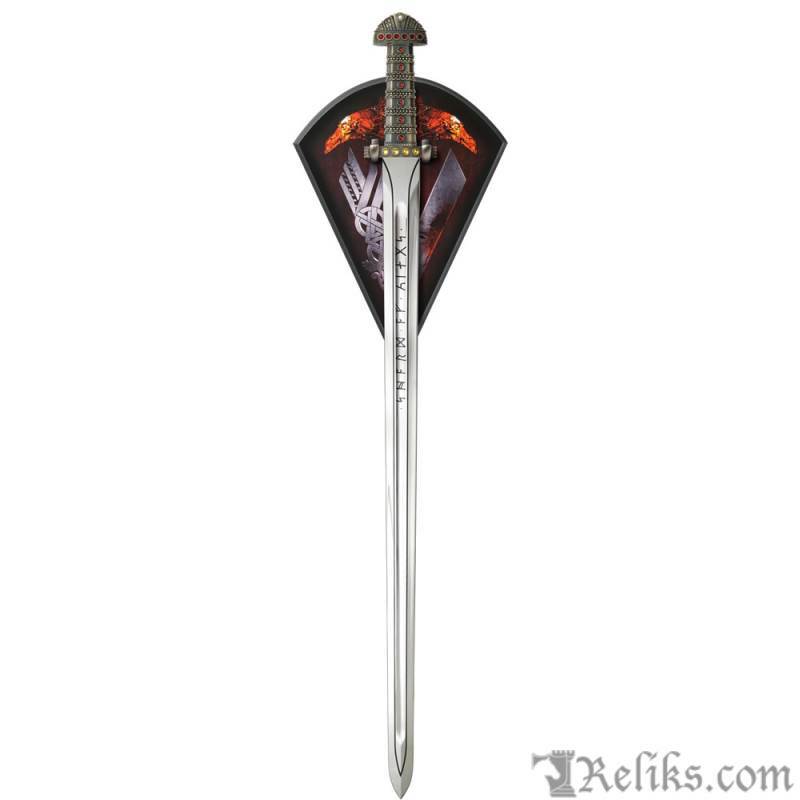 Sword Of Kings Limited Edition - The Limited Edition Sword Of Kings is individually serialized with Certificate of Authenticity, and a Vikings graphic plaque. 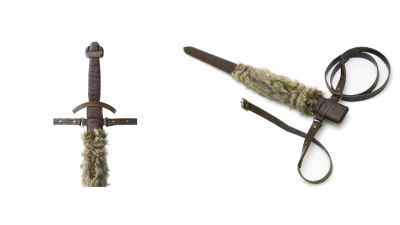 Sh8005Le - The Sword of Kings is a relic held by the reigning Viking king during the time of Ragnar Lothbrok. 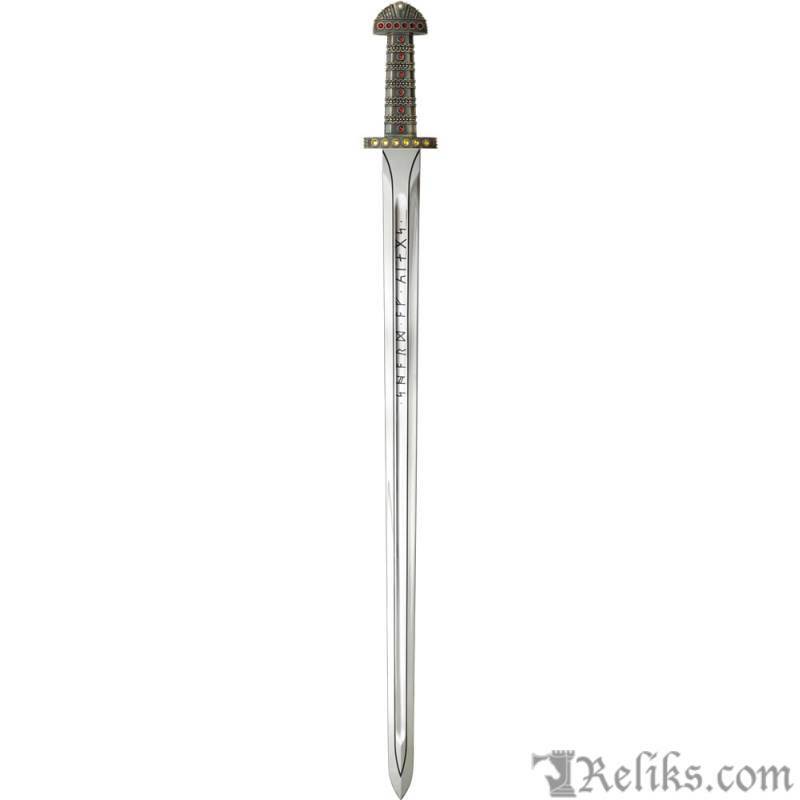 Vikings Sword Of Kings - The Sword of Kings measures 39 1/2" overall with a 420 stainless steel balde. 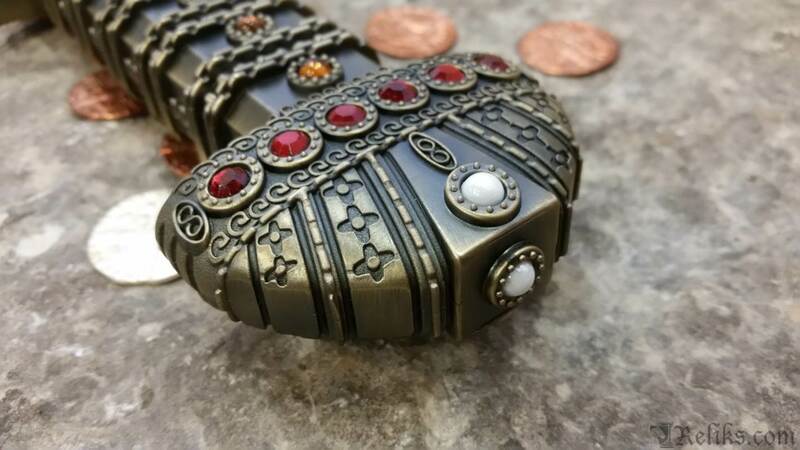 Sword Of Kings Handle - The handle of the Sword of Kings is cast zinc adorned with imitation gems, yellow, orange, ruby, and pearl/white. 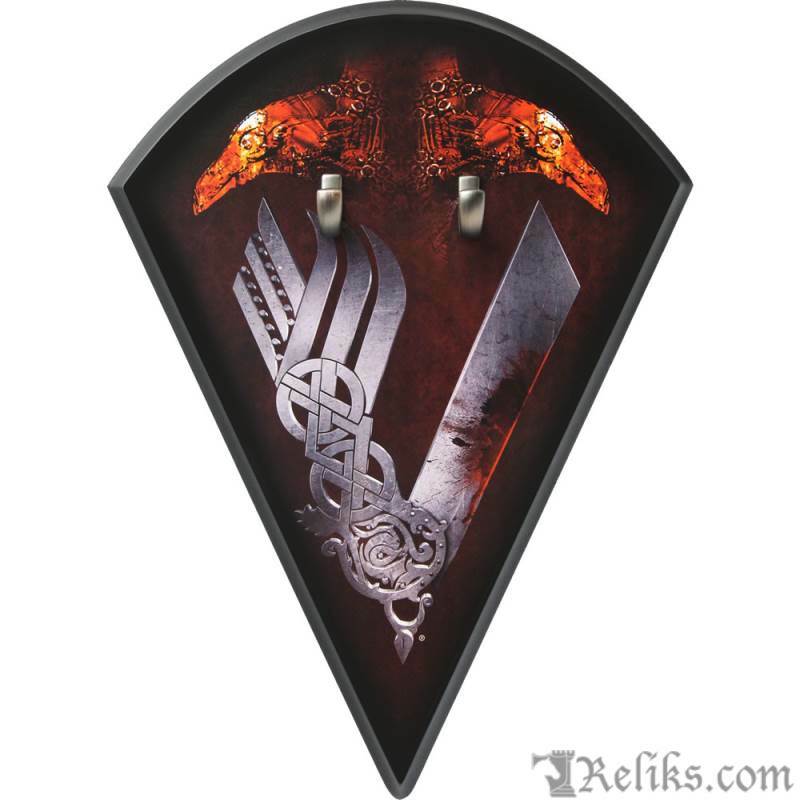 Sword Of Kings Plaque - The Sword of Kings plaque is wood with water transfer Vikings graphics. 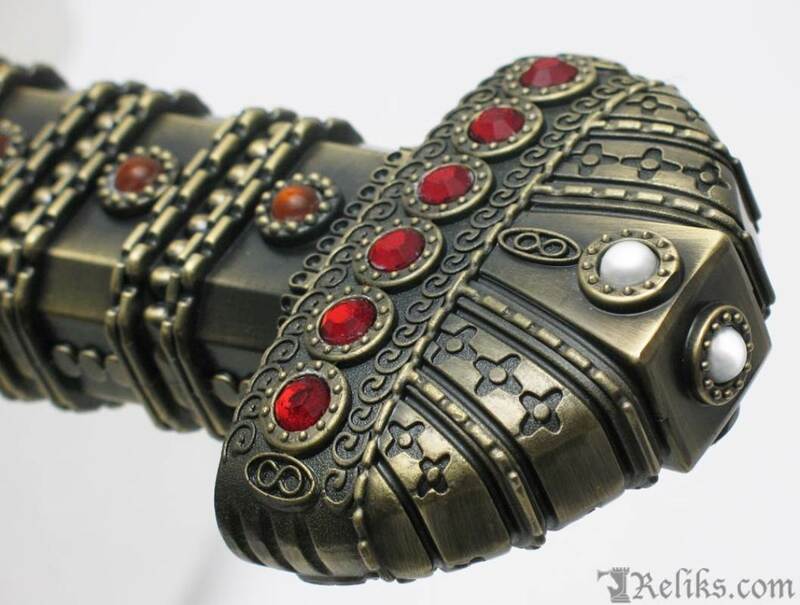 King Of Swords Pommel - Highly detailed pommel adorned with pearl white imitation gems. 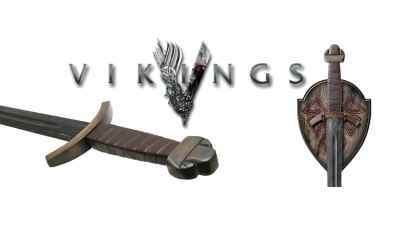 Ragnar Lothbrok Sword Of Kings - Ragnar Lothbrok shown with the King of Swords.